Going on holiday with the family is always a great time, but it’s even better when you can also get some barrel time at some of the best child friendly surf destinations in the world. Aside from getting some wave-time to yourself, many destinations have easy beach breaks that you and your children can surf together, which not only makes for some very funny experiences with the little ones, but also a lot of good holiday memories that will last a lifetime. The best child friendly surf destinations have to tick different boxes than that of your old nomadic surf adventures. 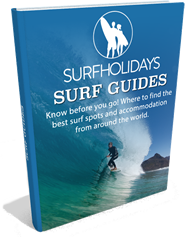 When jetting off with your kids for a surf holiday priorities change, destinations need consideration and planning along with the surf stoke. Things like the nearest doctor become more important than the proximity beer after a day on the beach. Where you used to blend your surf trips with boozy nights out and great waves by day, busy built up areas and loud bars are to be avoided, when you have the little ones in tow. Accommodation needs to be comfortable for all, whilst we love getting tropical barrels with just a bamboo mattress and a mozzie net to rest our surfed out bodies, it’s not practical for a family. 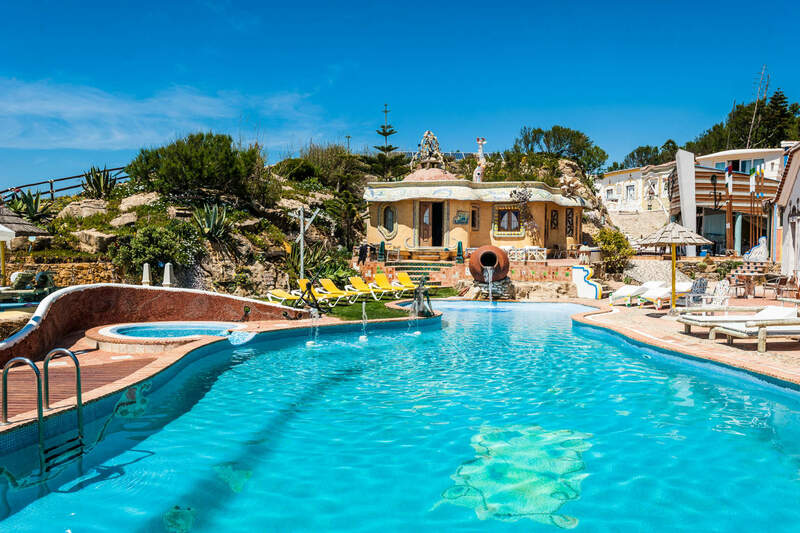 Situated just a 40minute drive from Lisbon, Villa Ana Margarida are hugely popular location for families and for good reason, the 12 uniquely designed traditional fishermen houses with Portuguese and Gaudi influences are a joy to behold, with the quirky design a lot of fun for the children as well. The villas are surrounded by beautiful private gardens, a swimming pool and unrivaled views overlooking Matadouro surf beach, the perfect spot for your little ones first introduction to surfing with private lessons and the adjacent skate park will bring the inner grom out of you and have your kids stoked as they skate around with new friends. They also offer a massive range of activities and services, from bike rental, mini golf, yoga, bbq’s and even a baby sitting service that will allow you and your partner to explore the area sans kids! 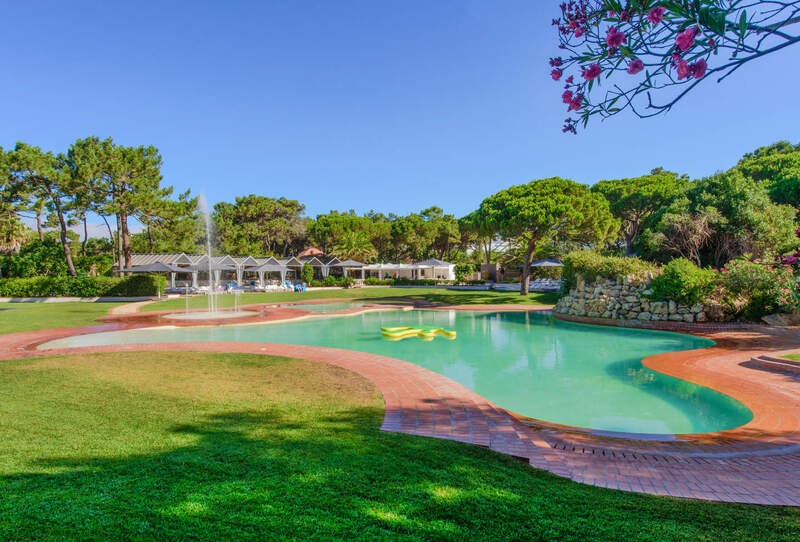 Martinhal Cascais is in one of the most beautiful areas in Portugal, just 30minute drive from Lisbon airport, and the perfect location for those seeking an action packed holiday with the family whilst still having a touch of luxury with all the mod-cons! With over 6 available surf schools, there are a multitude of options for all levels of ability and age, with the nearest beach just 100m away from the resort you and your family will have plenty of options to get in the ocean. If you wish to explore historic Cascais or the vibrant city of Lisbon, you can do so with peace of mind that your children are having fun, and more importantly safe, at our creche, kids club and babysitting service, whilst you enjoy all the wonderful sights and experiences this area of Portugal offers. Not only is Memmo Baleeira situated among some of Portugal’s most dramatic landscapes, but alsosome of Portugal's best surf spots and most stunning beaches, which offer the perfect spot to spend days at the beach, making the most out of all the fun-filled activities on offer. The resort, which can be reached by car from Faro Airport in just over an hour, and the surrounding area’s appeal lies in its sense of isolation and natural beauty. 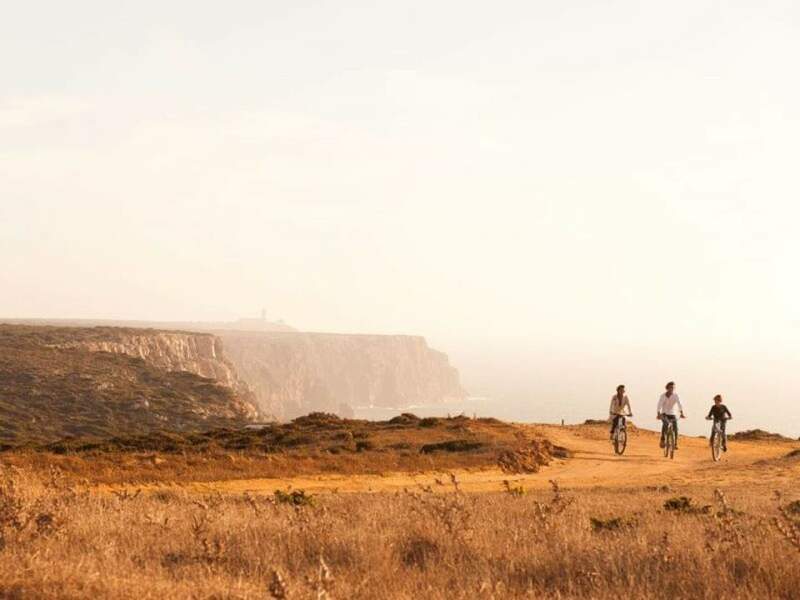 The nearby village of Sagres exudes a laid-back vibe with that quintessential holiday-feel, with simple cafes and rustic bars serving up cold local drinks and some of the freshest seafood you can get your hands on. Memmo Baleeira has all the amenities to make your Portugal surf holiday with the family the smoothest and most enjoyable getaway possible. There are numerous fun activities and at the kids club for the groms, baby sitting services, family surf lessons, a delicious restaurant, luxury spa centre complete with sauna, gym and heated indoor pool along with many outdoor activities including bicycle rentals & tours, 4x4 trips, windsurfing and diving. 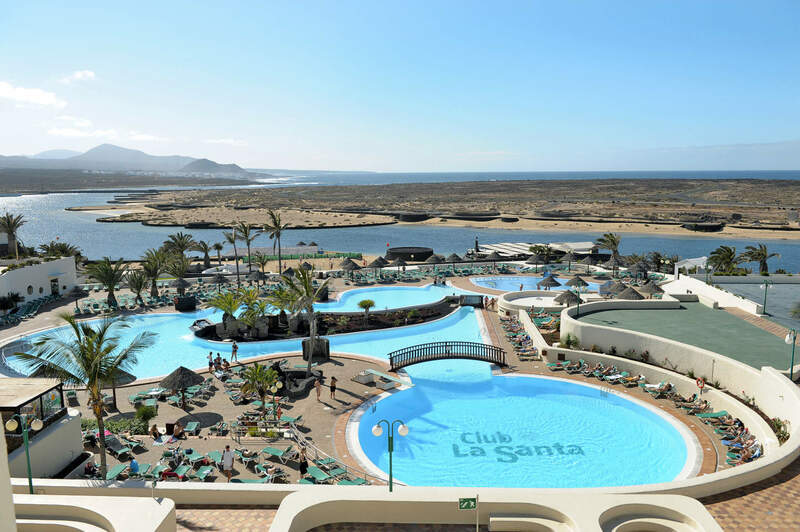 For the family that enjoys their holidays with a dose of fitness and sporting activities, then Club La Santa is the location for you. Just a short 30minute car ride from Arrecife airport, Club La Santa is one of the best child friendly surf destinations in the world. Perched on the edge of the Atlantic Ocean on the west coast of Lanzarote you will have a variety of waves to choose from, such as Famara Beach for the beginners and the children to the reef breaks of El Centro for the more advanced surfers. Often described as the ‘world's best active holiday resort’, there are an unlimited amount of free activities and classes to keep parents and the little ones busy, from yoga and pilates to snorkelling in the lagoons and everything in between. In total there are over 35 free activities and individual classes for you to make the most of. There are four restaurants and several bars on site to enjoy, and with the resorts creche, kids club and babysitting service you can explore the many delicious options in the nearby village of La Santa as well. If you are after some Caribbean sun for your family surf adventure along with some world class waves for all abilities then look no further than Cheez Don Bread Apartments on the south coast of Barbados. Under 10minutes drive from Grantley Adams International Airport, this is one of the most beautiful child friendly surf destinations on the planet, and a location that will not only keep the children full of excitement for the entire trip, but the adults too! The resort is run by surf legend and former professional Alan Burke, who runs some of the most engaging and fun filled surf lessons for the kids as well as the adults, his zest for life is contagious and will only make your Barbados smile even bigger! 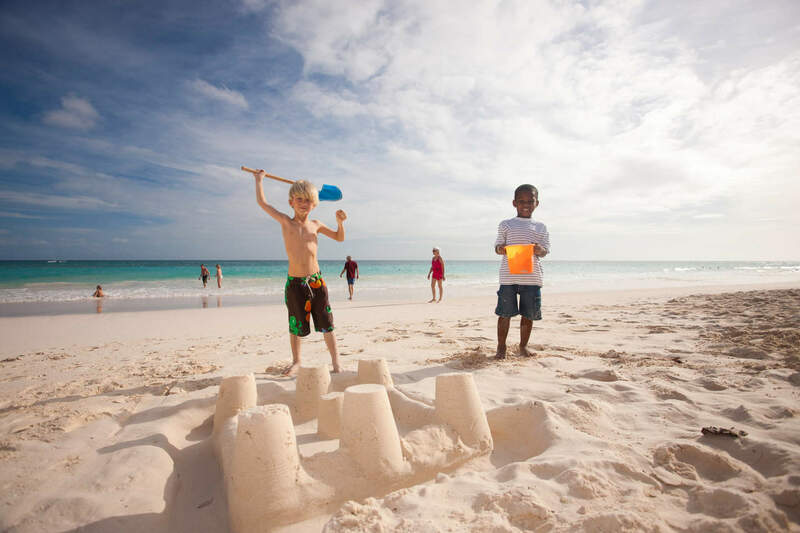 The easy access to the beach allows you to indulge in a real tropical paradise beach holiday with the whole family, where your children will make new friends daily, as they play beach football and play in the shorebreak with locals and holidaying children. The Burke family are a wealth of knowledge and will be only too happy to help with restaurant and bar recommendations as well as sailing and snorkelling trips, that make the most of Barbados’s natural beauty.